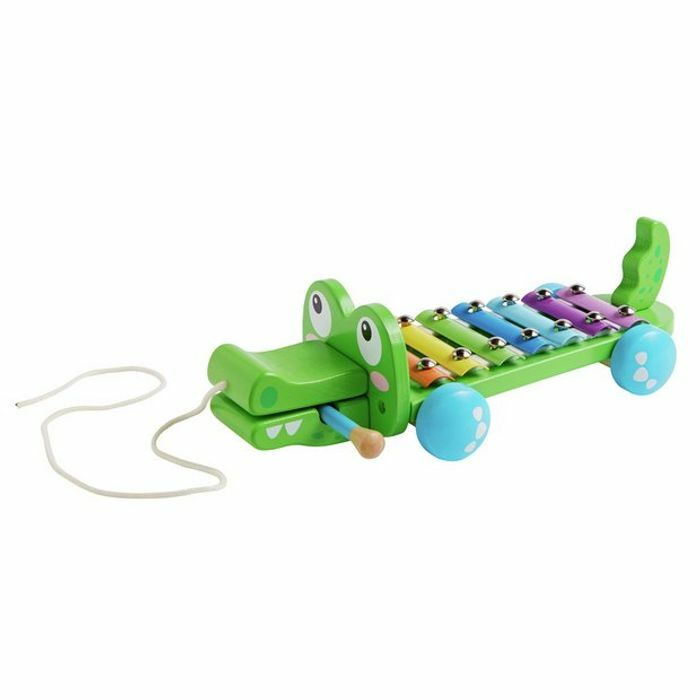 Xylophone stick included in the crocodile's mouth. Features a 7 tone keyboard. Movable mouth and waggling tail.